The property was located on top of the shopping centre and groceries were easily taken upstairs: it was close to restaurants so we didn’t have to walk far. It’s in a fantastic location with handy access to a range of great eateries, cafes and restaurants and not to mention the beach is right across the road. The rooms are clean and tidy and spacious. I would definitely stay there again. Had a lovely time with the grandchildren playing tennis, biking, swimming, and walking on the beach. Quality hotel at a reasonable price. Directly across from the beach and surf club. Highly recommend! Loved the location. Loved the view. Loved the furnishings. Staff were lovely. It's proximity to the beach, restaurants and activities. 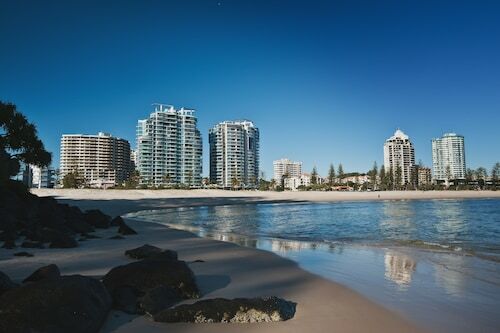 Many people travel to Coolangatta Beach every year. You'll find it in Gold Coast, 75 kilometres outside of Brisbane, the state capital. 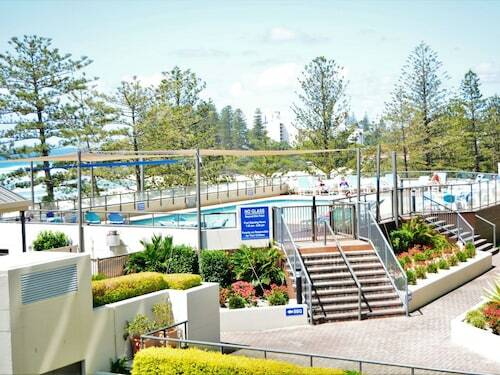 You'll find a huge range of accommodation options within a short walk of Coolangatta Beach. 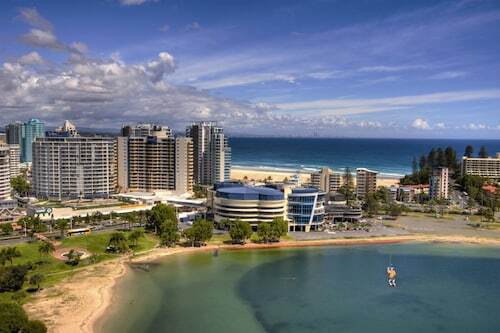 Consider the facilities at the Reflection on the Sea, Reflection Tower Two and Mantra Coolangatta Beach. 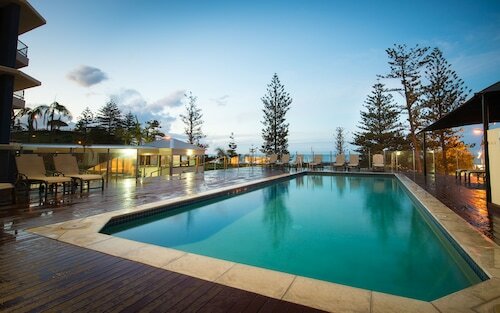 Give your credit card a break and spend the night at the Coolangatta Sands Backpackers, 0.5 kilometres away. If you like to travel in style, then why not book one of the upscale, luxury hotels in the area? 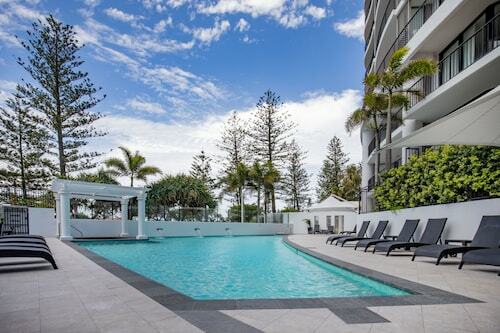 Start with the Kirra Beach Apartments, a kilometre away. The Points North Apartments, 0.4 kilometres away, also comes recommended. 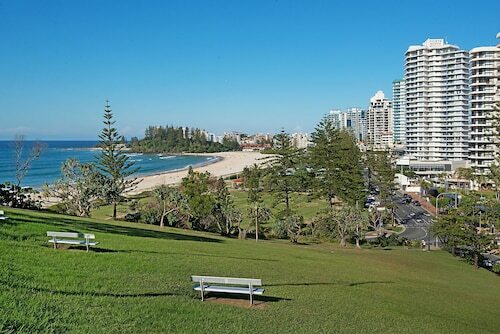 Coffee aficionados in need of a fix will like The Coffee Club Coolangatta (Shop 4, Reflection on the Sea, 120 Marine Parade, Coolangatta), only 0.3 kilometres from Coolangatta Beach. If you're in the market for a spot for lunch or dinner, head over to Komune Resort and Beach Club Coolangatta Gold Coast. 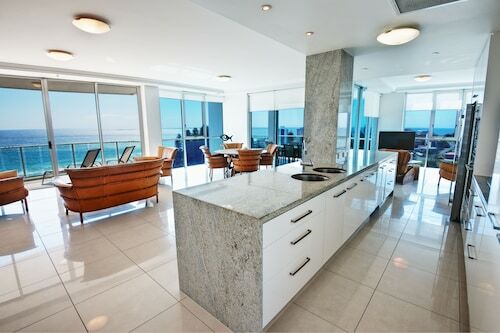 This popular restaurant is located at 144-146 Marine Parade, Coolangatta. There's nothing like the bliss of lazing by the water. Make sure you visit Greenmount Beach. Take a dive at Walkin' On Water Surf School, where there's a range of water activities. You'll have a ball! For some retail therapy, spend an arvo at The Strand. Check out Twin Towns Uniting Church, a renowned spiritual site. Look for some gifts for your family at Centro Tweed. 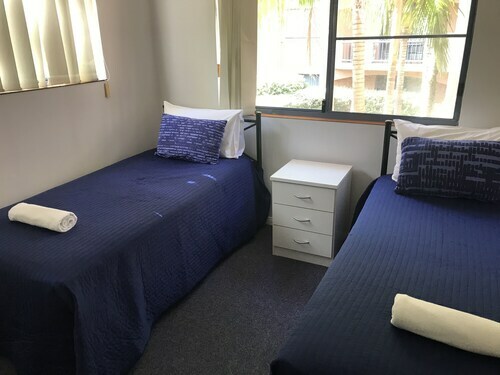 How Much is a Hotel Room in Coolangatta Beach? 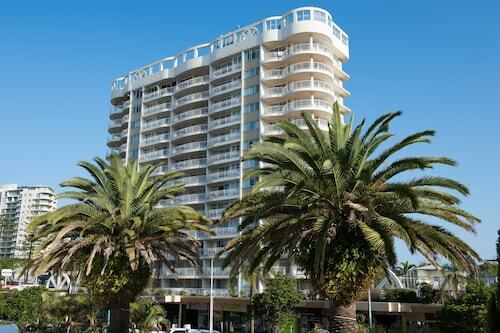 Hotels in Coolangatta Beach start at AU$100 per night. Prices and availability subject to change. Additional terms may apply.